Customize your guns & gear as you go on a bank robbing spree in Armed Heist! Looking for a great bank robbery third person shooter game? Welcome to the right place, where you face off against the cops in over 70 bank shooting challenges in one of the best tps games online! Your mission: become a ruthless thug and bank robbing crime lord! Always be the first person shooting, or else you will end up six feet under. 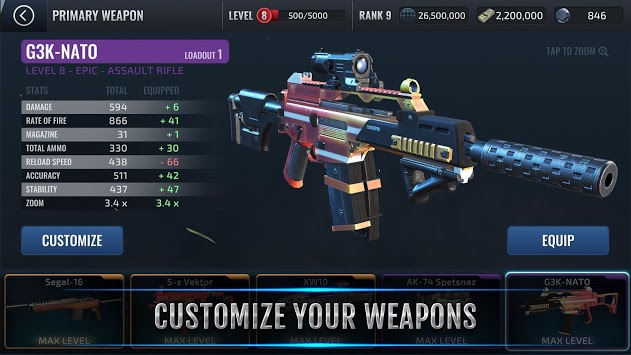 •	Customizable Weapon System – build the wildest, modified guns you could ever imagine! Pistols, shotguns, snipers & assault rifles! Get your arsenal as deadly as possible for the next bank robbery! Modify it with action-packed sights, suppressors, grips, barrels, stocks & killer skins! All of which will affect the performance of your weapon. 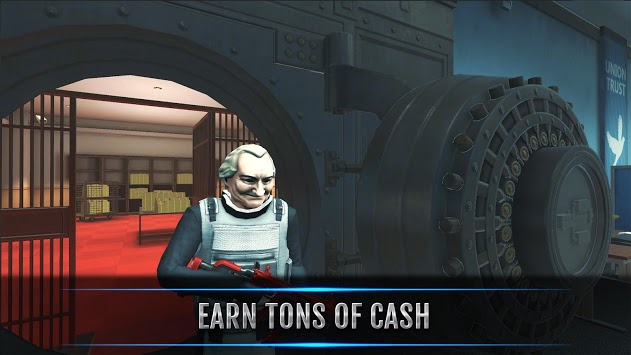 • 3D Crime Map – A dynamic job database crime map of low security banks and armored trucks, lets you pick and choose what heist you want to pull today! • Dynamic Scenarios – Get ready for the thrill! In this tps online shooting game, no bank shooting challenge ever plays out the same way twice. Every single scenario will be different depending on your moves and gun skills. • Pimp Your Character – Create your own ruthless bank robber! Want to be a killer clown? X special forces? Maybe a badass gangster? Earn skins, masks, bulletproof vests & awesome outfits. High-quality 3D graphics and immersive gameplay make this third person shooter into an action-packed shootout! 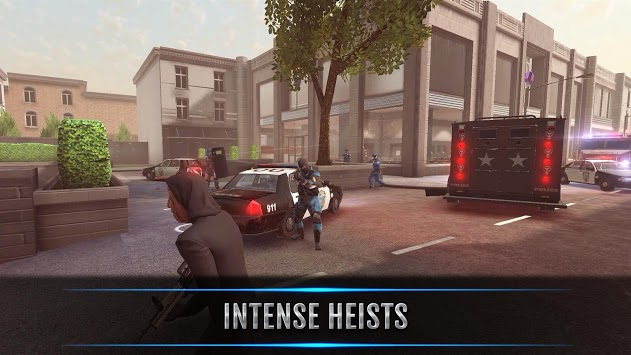 Armed Heist is one of the most intense third person shooter games online. Unlike fps games (first person shooter game), where all you see in the barrel of your gun, in tps games (third person shooter games) the camera rotates around your character in an active and dynamic way, making you feel like you are the one robbing banks and blazing bullets! Grab your gear. You got a job to do.